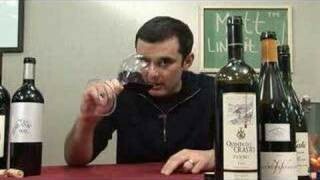 Today Gary answers a question many want answered, what wine goes with Pizza? Dude, you must try Japanese super shrimp mayonaise bingo bacon german potato sausage cream sauce pizza. Oh, and there’s some corn on it which I HAAATE ON MY PIZZA. Why does this country insist on putting corn in EVERYTHING that’s “western” food????!?!?!! Enough with the corn, make some biodiesel out of it for christ’s sake. I mean honestly. But take the corn off and it’s amazing. Thanks so much for this special on pizza and wine. I have a ritual of making homemade pizza every week. I’ll give your suggestions a shot. Robb Walsh, food critic and author of “Are You Really Going to Eat That?”, says that he thinks that the best pizza is to be found at Frank Pepe’s in New Haven, Connecticut. True story, while he was in Punta del Este, Uruguay he had a conversation with a guy and totally unprompted–this guy in Uruguay mind you–said that the best pizza in the world was at Frank Pepe’s in New Haven. Haven’t been there yet. Got to get there soon. Frank Pepe’s, that is, not Uruguay–though I’d like to get there too. If you make it to the SF Bay Area, check out Pyzano’s Pizzeria in Castro Valley. The guy who owns the place won the contest in Naples, Italy for the best pie. I just want to point out–especially to the New York pizza snobs–that it wasn’t a guy from New York who won, but a guy from po-dunk little Castro Valley, California. He also won a contest on the Food Network. Unfortunately, the city council doesn’t let him have a wood burning oven so the pizza in the very modest shop isn’t up to his standards. Still, it’s a good pie. Another stop on your way in the Bay Area is the Cheeseboard Pizza. It’s not for people who think pizza sshould only fit into a small set of criteria. It’s for those of you who like something exotic–say corn, since some people hate corn on their pizza. Interesting choices for toppings. Never has meat. Interestingly, don’t miss the meat. qotd: current fav pizza: american panstyle pizza with pepperoni and bacon, feta cheese, olives and pineapple. last fav pizza: panstyle half n half with pepperoni and pinapple, and meatdough, mush, onion and the pinapple. but the next time il have pizza, it will be with tallegio, walnutz and dark dark chokolade. i will bring theese ingredients to the baker, and se what could be done. Bacon onion pizza in a brick oven with thin crust and corn meal covering the stone. Fold it in half and eat away. Lets call it origami style. …my favorite pizza, coming from the birthland of pizza, where pizza is a once a week staple, the latest one is the porcini mushroom pizza, but I would drink it with a RosÃ¨ Franciacorta from Antica Fratta! The bubbly helps to cut the fat from the mozarella & oil which helps to lighten up the meal. Just delicious! ps. i drive on slusser rd every day, amazing garden on the side of the road in front of the vineyards. Quite the interesting episode. I never would have thought about pizza and white wine going togethor. Next time I go to Serious Pie in Seattle I’ll have to see what whites they have and maybe have myself a glass. QOTD: The cherry bomb peppers and sweet fennel sausage pizza from Serious Pie. A thin dough made rustic-style. The pizza looks more like a football or rectangle than a circle but the flavors cant be beat. Oh how Id love to be able to eat there every day without fear of heart problems or weight gain. QOTD: Pizza, thin base, thin layer of tomato sauce and cheese, then hawaiian or meats or tuscan sausage (awesome) for topping. No raw or nearly raw onions! qotd: same as wines, i like just almost all kinds if the quality's there.